Buy Eiroa The First 20 Years Cigars Online! It’s no secret that cigar manufacturers are very passionate about two things: family and celebrating anniversaries. 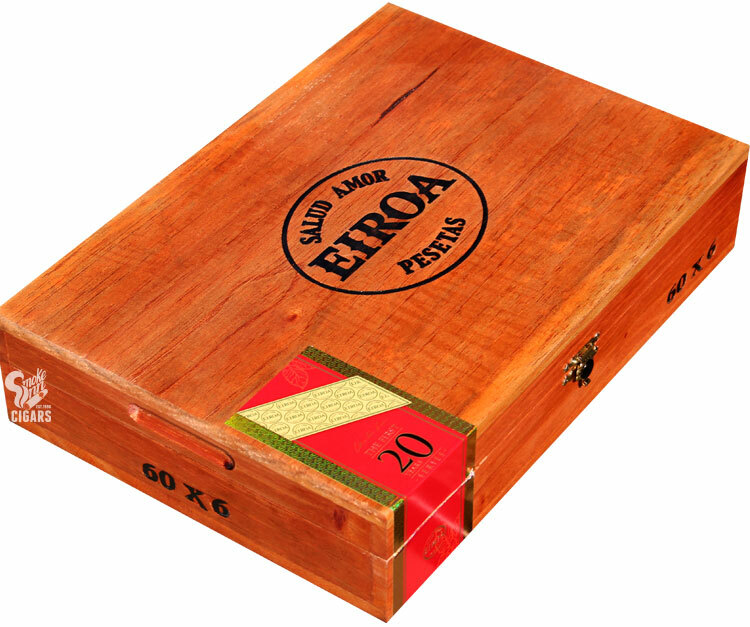 For EIROA Cigars, they’ve delivered both in one special offering—EIROA The First 20 Years. Company founder Christian Eiroa has a long and much-respected career in the cigar industry, and to celebrate his 20th anniversary in the business, EIROA Cigars has released a very special family blend. Story goes, Christian’s father, Julio, set aside an exceptional crop of tobacco for this very occasion. When the time was right, Julio gifted the tobacco to Christian and asked him to create his vision for the rare tobaccos. These are the resulting cigars, showing a departure from Christian's notoriously heavy hitting flavor profiles—the cigars show restraint, with a more delicate, refined, and ultimately complex smoking experience. This may very well be Christian’s finest blend to date!